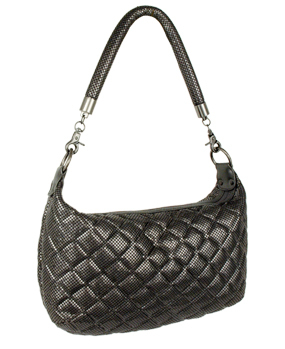 Quilted brass mesh large shoulder bag and trimmed with Italian Lambskin. 13" x 8 1/4" x 2 1/2." 12 " drop length chain. Signature Whiting and Davis lining.